The former chief negotiator for NAFTA under the Mulroney Government says, NAFTA's been a good trade deal for farmers and ranchers. 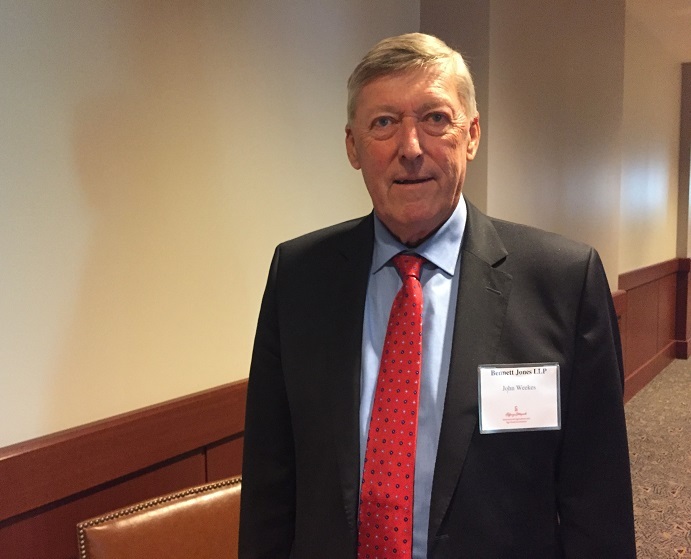 John Weekes recently spoke at the Calgary Stampede Agri-Trade Symposium, and says the United States is the principle market for Canadian agriculture exports. "Obviously we're also looking on how to diversify that, although there is no real replacement for the United States. It's the largest market and will remain so indefinitely for Canada, but going ahead with the ratification of the Trans-Pacific Partnership, we need to make sure Canada is in at the ground level when those tariffs start coming done on the Japanese market." Weekes adds, the NAFTA negotiations seem to be at a bit of a lull right now. "The Americans, including the President, have made it clear that they don't think they can be finished until after the U.S. mid-term elections in November. There could be some useful work that would be done now in terms of exploring potential solutions, but frankly, the real deal cutting won't begin until after that." He says, the U.S. doesn't know what the make up of the Congress will be until after the elections. Weekes says, they need to find out who's in control before they decide on some of the final elements they would want to see in the trade agreement. Weekes has been working as a senior business adviser with Bennett Jones LLP in the Ottawa office since 2010.